In the bubble years, the image of golf in Japan was one of wealthy businessmen paying exorbitant sums of money to be members of elite golf courses where waiting lists to play often extended over a one month period. More recently, a great many of the Japanese golf courses have either been bought up by foreign capital, gone through some form of bankruptcy or restructuring, or are struggling to stay in business. The inability of corporations to pay large fees for tournaments and individuals not able to pay the high joining fees which previously could exceed $1 million at top courses, combined with the latest economic downturn have made it a difficult time for courses. One sector of the market which is currently enjoying a “boom” is that of women in golf. Inspired by the professional female golfers on the Japanese scene such as Miyazoto Ai and Ueda Momoko, and with clubs making female golfers more welcome, the number of women golfers is increasing in Japan. 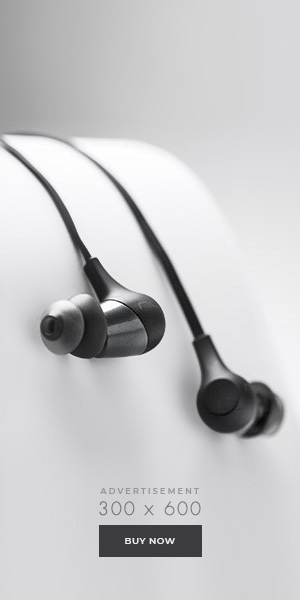 Seeing this trend, a number of manufacturers have been bringing out new products specifically targeted to this market. As can be seen in the photo, “cute” items that might not normally be associated with the game of golf are starting to become popular. Are new fashion items driving interest in golf or is the increase in golfers driving the new items? In fact the availability of more of these type of items may actually be one of the driving forces of golf popularity with women in Japan. 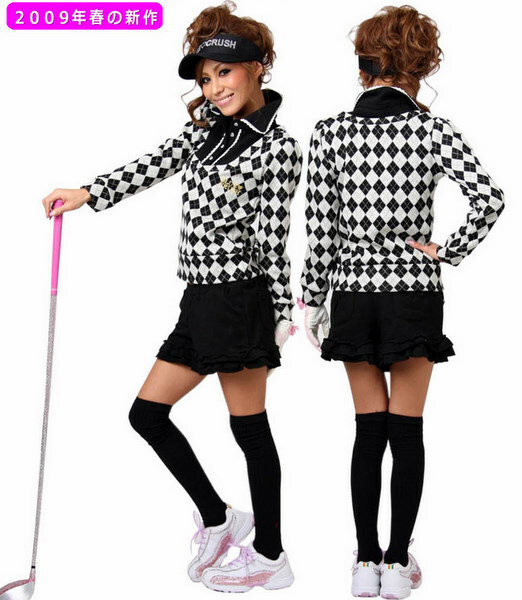 Previously, golf was not known for its “cute” fashions and stylish looks. The clothing was more along the lines of practicality rather than designer labels. Now many of the women are sporting trendy brands specifically designed for golf and golf wear has become a new fashion trend. 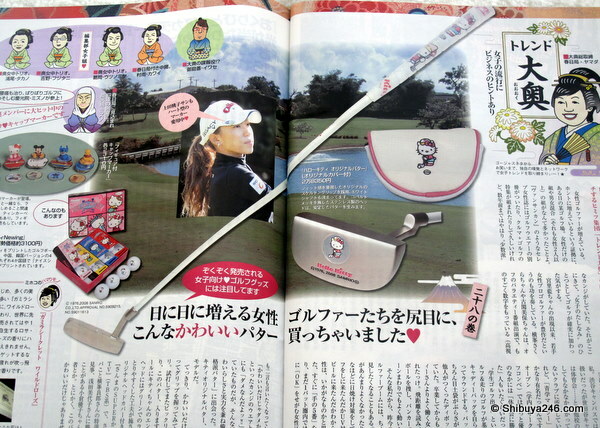 The number of magazines, websites, shops, services and products for women’s golf in Japan have expanded rapidly in Japan. The ideas for new products seems to be broader than ideas for men’s products. If you want to see more fashion in Japanese golf then have a look at CScout Japan where they discuss Nail art for golf gloves. Is golf just a way to meet guys? With the talent being shown by golfers like Miyazoto Ai and Yokomine Sakura, and many other young golfers coming up, the popularity of female golfers is becoming greater than their male couterparts. In particular, the place where interest is increasing is the group of women in their 20’s and 30’s who have shown a sudden surge of interest in golf. Mini-skirts and one-piece dresses are becoming the cute golf fashion, and some women have an expectation that they can use golf as a means to meeting men. I for one feel like getting out on the golf course and having a hit.